The Red Wings offense never got in gear Sunday afternoon as the IronPigs jumped out to an early lead and cruised to a 7-0 series clinching victory at Coca-Cola Park. The Wings have now won just one of their last 18 series against the 'Pigs in Allentown. Zack Littell - who allowed just three runs against the IronPigs in three starts (18 IP) last season - yielded four runs to Lehigh Valley in the first inning on Sunday. The big blow was a three-run homer off the bat of Andrew Romine. Romine would single home a run in the fifth inning to close the book on Littell (0-1) who allowed five runs on seven hits and two walks over 4.1 innings. Rochester (1-3) collected just six hits. Two went for extra bases - a fifth inning John Andreoli two-out double and a ninth inning Randy Cesar double. 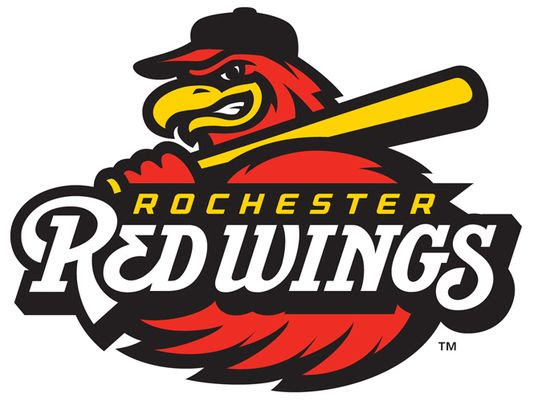 The Red Wings season opening road trip continues Monday night (6:35) against Tim Tebow and the Syracuse Mets. Justin Nicolino gets the start for Rochester. WINGS THINGS: The Wings went 0-for-17 with runners in scoring position in the series.